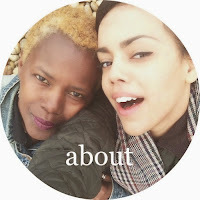 barri & belle: keepin' organized. 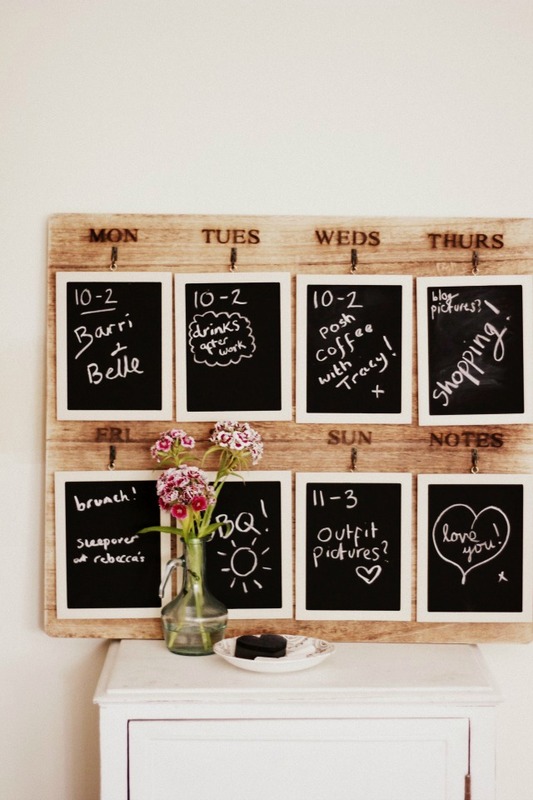 Since Jazz and I were kindly sent this beautiful weekly chalk board planner from Next, it's been ideal for keeping track of her work rota, my holiday plans and our days out together. Usually we are quite useless at remembering to tell each other about our plans, but as we can't resist using something that's both pretty and practical, it's certainly helped us to be a little more organized! 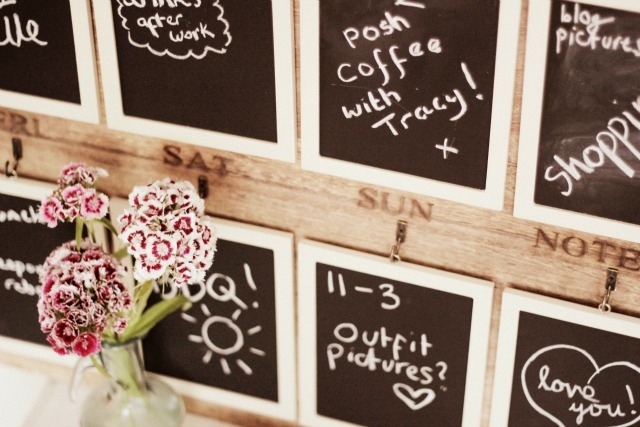 The planner takes pride of place in our living room on a wooden cabinet I purchased from our local charity shop for just five pounds, plus the flowers in a secondhand bottle and a vintage saucer holding the chalk are the perfect added details. We've both had a very lovely week, and now on Sunday evening it's time to wipe the slate clean and start to plan our week ahead! Love Barri. 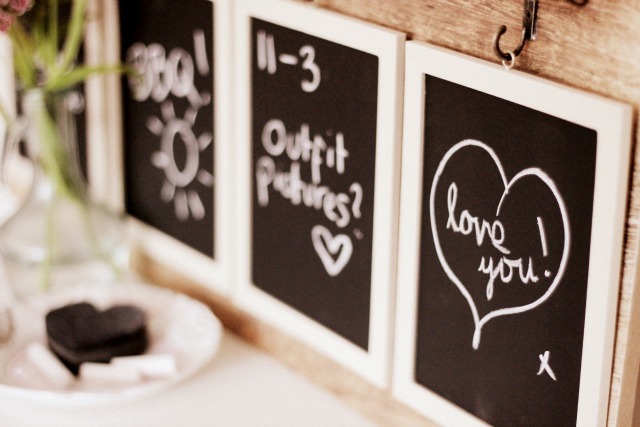 Such a cute board - can we please swap homes?! It all looks so pretty and I like the idea of the saucer. Also, well done on the cabinet!